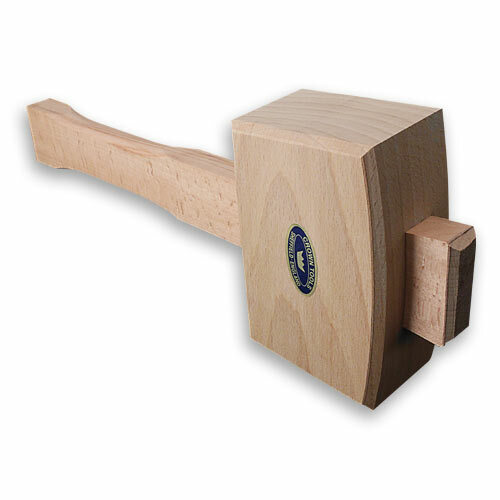 Crown #106 Beech Joiners Mallet - 4-1/2"
Also known as a carpenter's mallet, this traditional joiner's mallet is most useful for tapping home joints and carcass assemblies, and for driving chisels. Since we naturally swing in an arced motion, the face of mallet is tapered so it meets the target with a flat blow. You'll have few worries about the head ever loosening. The handle and head socket have matching tapers so the centrifugal force tightens it every time it's used.